Hey lovely MTK readers! Doree from Top Notch Mom here today, excited to share my Cheesy Cauliflower Soup with you. 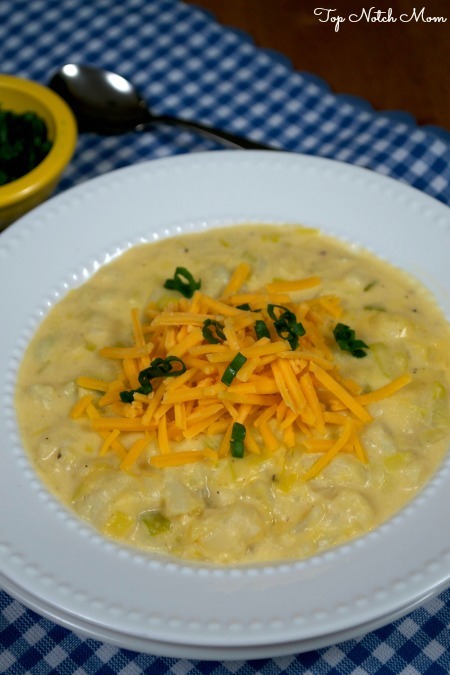 These past few weeks have been super cold where I live, and the weather reports don’t seem to be getting any better so I figured why not share this hot and delicious Cheesy Cauliflower soup with all of you. It will be sure to warm you up! Serve it with some sourdough bread and you’ve got yourself a tasty, quick, and easy dinner. Top with sliced green onions and cheddar cheese if desired, enjoy! I love cauliflower and I’m always looking for new recipes. 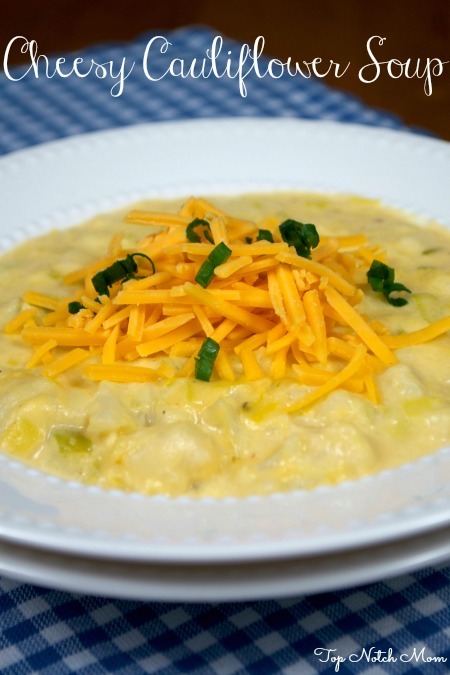 This cheesy soup looks like it will be perfect for a cold winter day. So simple, too. I’ve been on a cauliflower kick and can’t seem to get enough of this great veggie. Pinning this one! I like broccoli cheddar soup; this sounds pretty similar. Now if only I can manage to not eat half the head of cauliflower while prepping it! Yum, this sounds and looks delicious! I’ve never had cauliflower soup. Cheesy? I’m in! Thanks for linking up at Best of the Weekend!